Matthew 6:25-34 25 That is why I am telling you not to worry about your life and what you are to eat, nor about your body and what you are to wear. Surely life is more than food, and the body more than clothing! 26 Look at the birds in the sky.They do not sow or reap or gather into barns; yet your heavenly father feeds them. Are you not worth more than they are? By bizarre coincidence this was touched on in mass on Sunday, in my priest’s homily. He talked about how we spend so much time being distracted by worldly things. So much so that we don’t always set aside any time to reflect and meditate on the word of God, and ask for guidance in fighting the temptations that will be continually laid at our door. I have to hold up my hand to this, I do worry about my life and in particular about my children. I worry about decisions I’ve made, I worry about decisions I’ve yet to make and it can become a burden and a constant distraction. I’m learning through practice to hand my worry’s to God trusting in him to guide me, show me the way, discovering that I can plan all I want but in truth it’s about God’s time and it has already been decided. For the Lenten Challenge I’ve chosen to abstain from refined sugar, the cravings for sugar are difficult to manage but I’m getting there (I’ll cover this in another post). For those of you abstaining from a food item in your diet, you’ve made the decision now let it go! Rather than being focused on how you will replace that food item in your diet, during this Lenten period, let’s take time out to deepen our relationship with God and put him first. He will not let you starve, he knows that you need food but leave it in his hands and he’ll take care of it. That is not to say that you should sit back and not use the talents entrusted to you. Work hard, trust that God will provide and remove the focus on the pursuit of worldly things, which serve as a constant distraction. 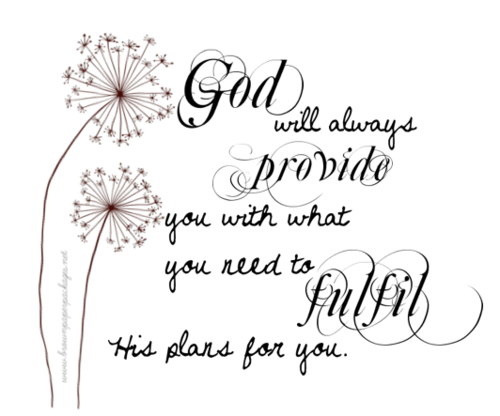 Do not worry, God will provide, you just need to trust in him. Is your life filled with worry, how can you make trusting in God your priority? I think it’s about letting go of control. I know for me, that’s a big issue. There really is only one master of the universe, and it’s not me. Surprise! LOL. But seriously, as we give God His proper place as the creator and maintainer of my lives, the desire to worry diminishes and we segue into a more trusting place in God. Easier said than done, but it can be done, in His strength. Thanks for the support Alison. You are right, it is so hard to let go of control. I’m working on placing it all in God’s hands, trusting in him to help me navigate through this journey we call life.